Description: Over 100,000 free images, licensed for commercial use. Many thousands of exclusive images not found elsewhere. Description: Pexels has a lot of free stock photos. 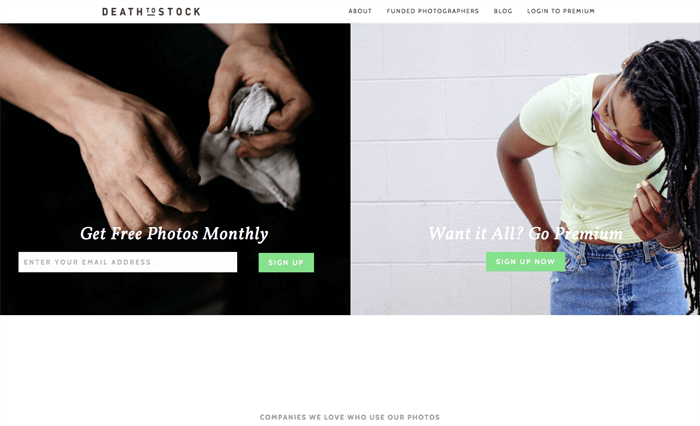 Description: Two photographers set out to do something great with all the photos they had compiled over the years, so they created Death to the Stock Photo, a site with some free stock images, and an affordable premium package that gives you access to the whole archive. Payments from premium accounts help fund other photographers to go out into the world and capture more photos for the archive, which is an awesome model. 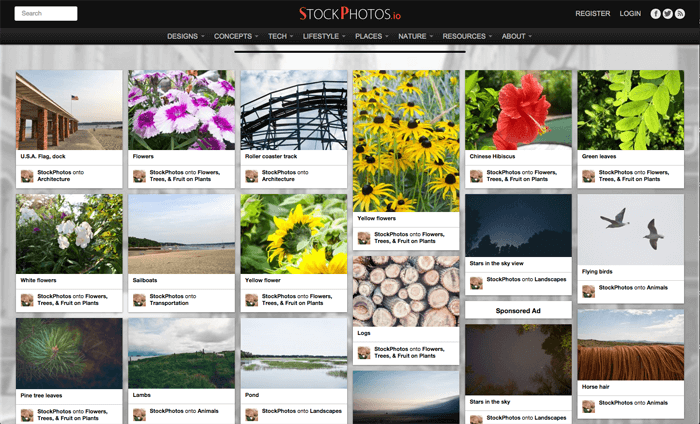 Description: There are a ton of free stock image sites out there, so why not search through 40 at a time when you need something? That's what LibreStock allows you to do. 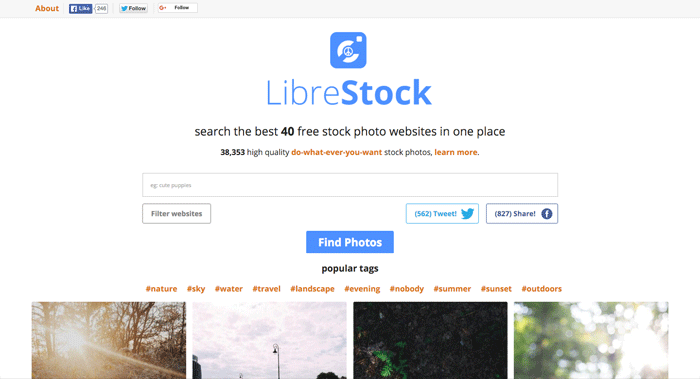 Beautifully laid out and easy to use, LibreStock will provide a ton of options for whatever images you search for. 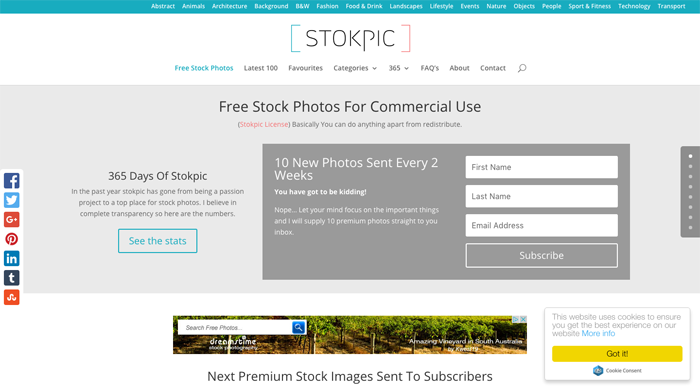 Description: Awesome stock photos that cannot be found anywhere else, Stokpic is a great place to start if you need visuals. Photographed by Photographer Ed Gregory and a team of curated artists from around the world, these photos are both interesting and exciting. 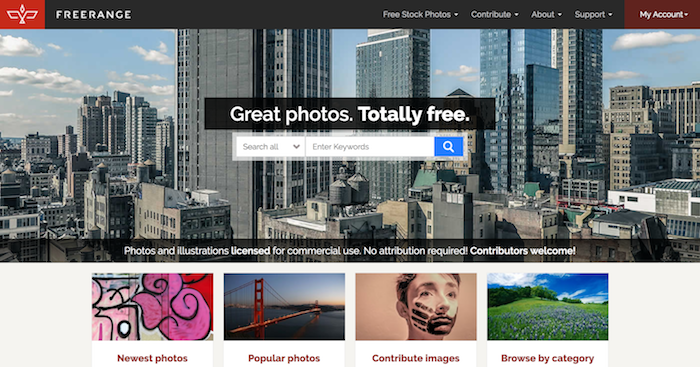 Started as a passion project, this site has grown to be a premium place for amazing free photos. Description: 500 pages of searchable stock photos well categorized and ready for you to use for whatever project you've got going on. The only downside is that the images aren't that large in format, but they'd be suitable for social media share and smaller images in blog posts. Description: 10 new stock photos every 10 days, big and gorgeous ones, that you can do whatever you want with. If you want a good example of a site that uses these, check out Pixelarity and scroll down to their templates. 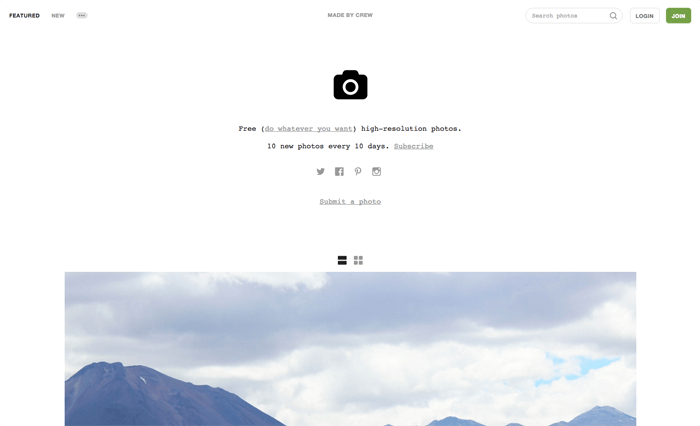 Unsplash is a wildly popular template site for a reason.